Good circulation is incredibly important! Not only does it transport blood around our bodies to distribute oxygen and nutrients to our cells, but it also removes waste and toxins. When poor circulation occurs, blood doesn’t flow as freely through the body as it should, leading to blockages in the arteries. This is bad news for some very important organs, such as the heart and the brain, which rely on receiving these important nutrients in order to function properly, so keeping your circularity system in optimum condition is vital. There are a number of reasons for poor circulation, including age, general health, hereditary factors, such as parents having poor circulation, as well as lack of exercise and diet, to name but a few. A poor circulatory system can lead to several minor health complaints such tinnitus, Raynaud’s Syndrome, memory loss, lumps in blood vessels and varicose veins, as well as cramps and pins and needles. It’s important to recognise the signs of poor circulation and know how to improve it so to help avoid or ease the symptoms of these conditions. Circulatory difficulties can be treated with medication. However, many people prefer a more natural approach. There are many lifestyle changes that you can implement which will have a greater positive effect long term. This can involve dietary changes as well as getting more exercise to help improve the blood flow around the body. Garlic – this is a fantastic herb for increasing blood circulation in the feet and hands, and will also reduce clogging in arteries if eaten raw daily, in moderation. Ginkgo biloba – this improves blood flow and strengthens blood vessels. Ginkgo biloba is also anti-inflammatory, relaxes the lungs and improves blood flow to the heart. 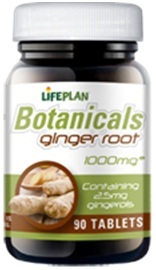 Ginger – this helps the body to dispel cold and has characteristics which, through the digestive process, can help warm the limbs. Eating a little amount of ginger with your porridge or in a tea can boost circulation. Certain foods, such as oranges, spicy food, garlic and fish, are excellent for aiding your circulation. Other foods that are high in sugar, salt and fat will have the opposite effect, and so if you are having circulatory problems it is advisable to avoid or cut down on them as much as possible. Keeping moving is one of the best ways to keep your circulatory system happy and healthy, so try to avoid sitting all day at a computer or iPad screen and get up and about (this will give your eyes a much needed break too!). Even simple things such as household chores or gardening can be of benefit as can walking or swimming. Stop smoking – we know how difficult it is to quit, but the idea here is to keep those blood vessels clear. Smoking constricts them and, apart from other health concerns, can also give you puffy ankles. Drink plenty of water – circulation is vital to all of the body’s functions, and water makes up a large part of blood volume, so drink 5 to 6 glasses a day. 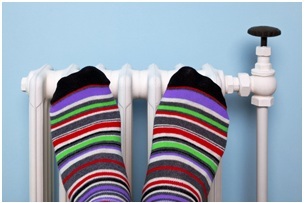 Keep yourself warm – people with poor circulation tend to feel the cold more often, so wrap up well with extra socks and clothes or use a hot water bottle. This can help your circulation, increasing blood flow to your extremities.